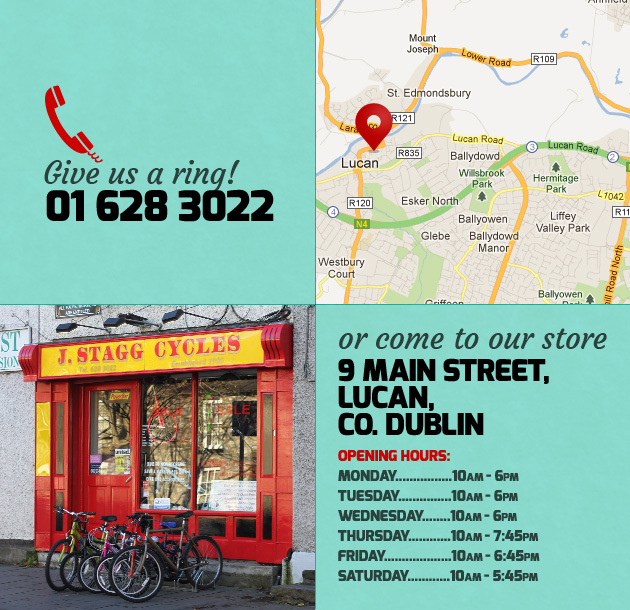 Established in 1981, Stagg cycles has developed the capacity to cater for whatever your need may be. We cater for the commuter and leisure enthusiasts with an extensive range of Hybrid and Leisure Mountain bikes and also a huge range of Children’s bikes. We specialise in catering for all cyclists, from children to people looking to get to work to the racing enthusiasts.